Item # 300927 Stash Points: 3,495 (?) This is the number of points you get in The Zumiez Stash for purchasing this item. Stash points are redeemable for exclusive rewards only available to Zumiez Stash members. To redeem your points check out the rewards catalog on thestash.zumiez.com. Update your RIPNDIP style with the Flowers For Bae long sleeve tee shirt. 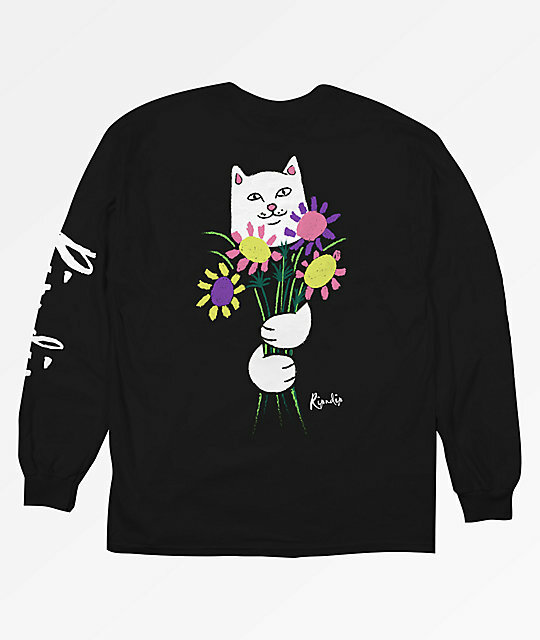 This black long sleeve shirt features Lord Nermal himself holding a bouquet of flowers on the back and is finished with "Ripndip" screen printed down the left sleeve in white script. 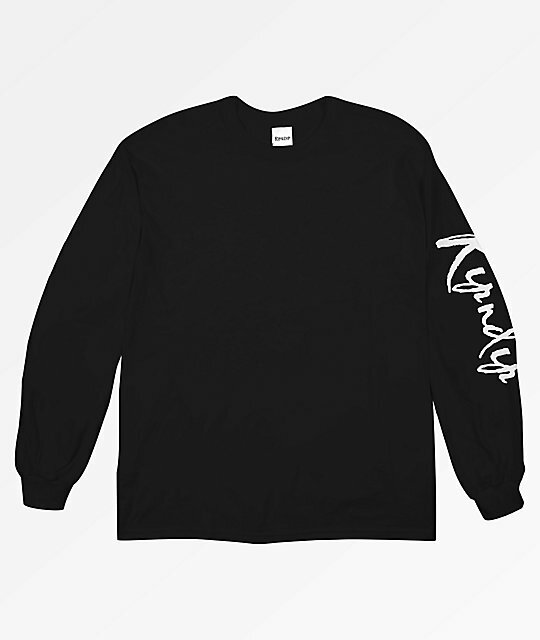 Flowers For Bae Black Long Sleeve T-Shirt from RIPNDIP. Screen printed collaborated graphics on back and down the left sleeve.